By LUDWIG VON KOOPA - This is Cloud the person known for past achievements, not cloud the future of gaming. Fun fact: Rawk was going to write an article bemoaning Cloud's presence in Super Smash Bros. Ultimate (and Super Smash Bros. 4). There's a lot to complain about there (total lack of music and World of Light/Spirits presence), but he had to rethink it, and ended up canceling it upon the announcement that Final Fantasy VII was coming out on the Nintendo Switch. But this isn't like the Final Fantasy VII remake that will never come out. No, last month they released Final Fantasy IX and announced that Final Fantasy VII would come out today. And today, it's out. 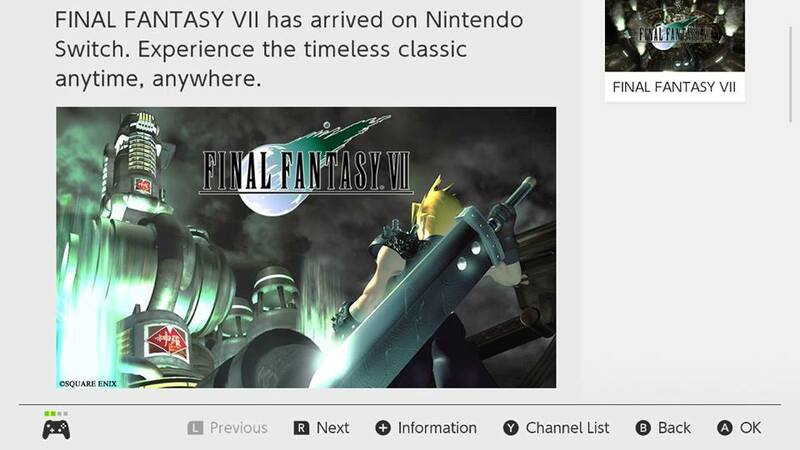 And you can experience Final Fantasy VII for the first time on a Nintendo console! It's only $16, too! Compared to Final Fantasy IX, which is $21. They're both PlayStation 1 games. Not sure what the price difference means. Did Final Fantasy IX take more effort? The ports already existed on previous systems. Who knows. Maybe it's an admission that Final Fantasy IX is better? There is a lot of symbolism and whatever about Final Fantasy VII being on a Nintendo console, since this was the game that took Final Fantasy off Nintendo consoles and to the PlayStation. The Switch is finally enough of a competent console, to Square Enix, that they'll bring these games back. I actually did start playing Final Fantasy IX on Sunday. I'm already pleased. Especially with Vivi. He's precious. Much better than Ganondorf. 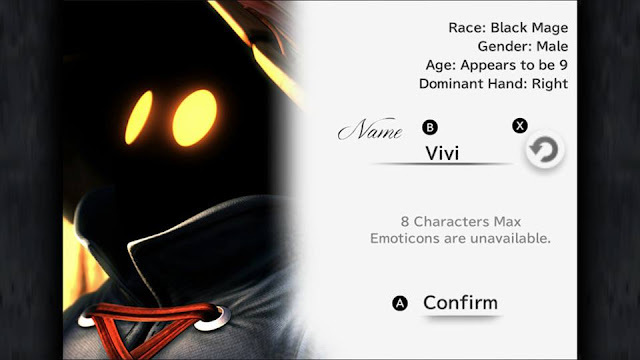 Black Mage is his race... and Vivi is my favourite character... I'm obviously not a racist! White Mages, though? I don't know about those... Zidane stealing Potions is working out very well so far. Ludwig has a big backlog of games on the Nintendo Switch, including Final Fantasy IX, so he's not going to be purchasing Final Fantasy VII anytime soon. He eventually intends to. If you'd like Ludwig to get through his backlog, then perhaps you'd also be interested in helping staff KoopaTV so Ludwig can play games instead of write articles? If that interests you, check out the Hiring page for more information! These digitally-distributed ports don't violate Ludwig's boycott of Electronic Arts, which included the PlayStation version of Final Fantasy IX in the United States. This evident olive branch between Nintendo and Squeenix is indeed good news--because it means there is now a greater than zero chance of them bringing back Geno. Or, dare I say it, an HD remake of Legend of the Seven Stars? Now THAT'S one remake I wouldn't mind them focusing on at ALL. Geno in Smash is a contentious issue among the staff...! Eh, I don't really care either way about him in Smash--I want him in another Mario game. Besides, he already IS in Smash--as a Spirit, anyway. ...Oh yeah I forgot that people want Geno in things other than Smash Bros.
You didn't even mention Smash. I just kind of jumped right to that. Alright, well in that case, that doesn't make sense to me. Because Geno's existence revolves around Star Road. The Star Road story is done. Final Fantasy IX is the first Final Fantasy game I ever played (and possibly the first JRPG I ever played, because I can't remember if I played it or Paper Mario first). Excellent game. Guess you're on a first-name only basis now.